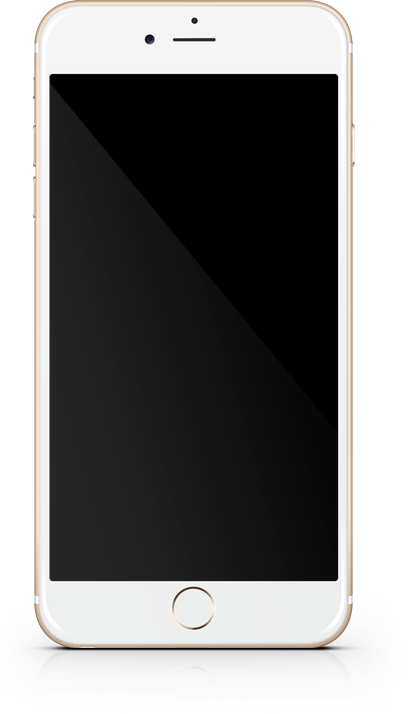 Mobile devices are an essential part of finding information on the go every day, so it’s crucial that your clients have valuable content and tools, whenever they require it. 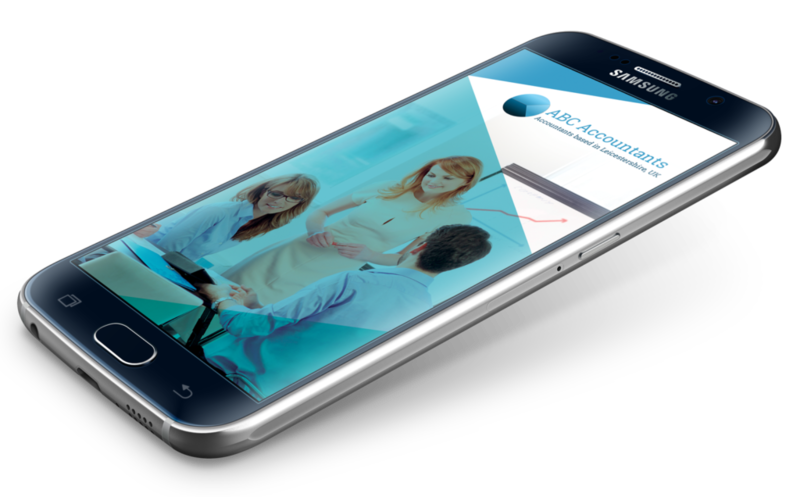 Interactive calculators covering two financial years, to help your clients make informed decisions. A range of tax rates with supporting explanatory text, written in an easy to understand format. Rates include Capital Gains Tax, Corporation tax rates, car fuel benefit, income tax rates, Land and Buildings Transactions Tax, SDLT, capital allowance and more. 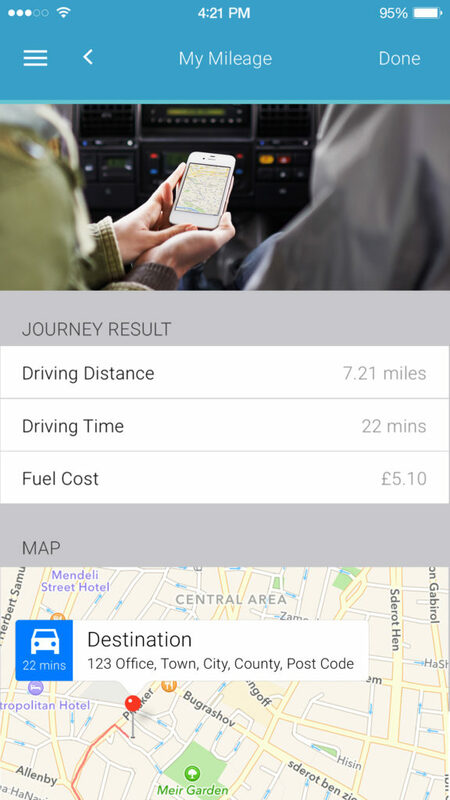 Map your journey and easily calculate your mileage. 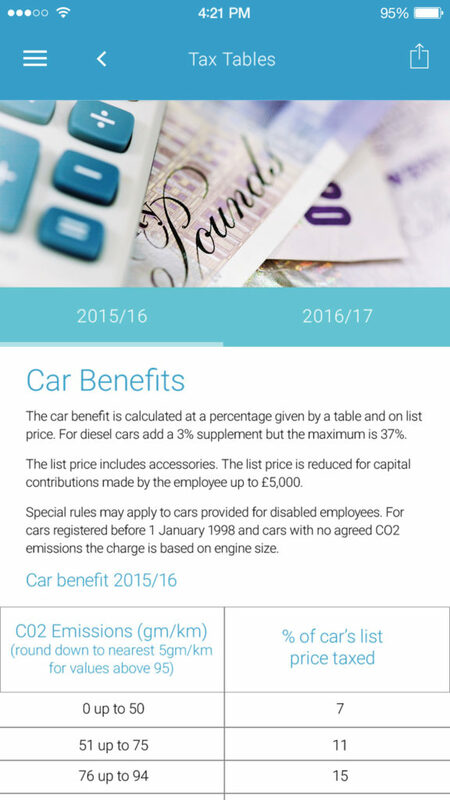 With integrated Google Maps software and the option to calculate Petrol, Diesel and Electric car costs, clients will be fully supported when they travel. 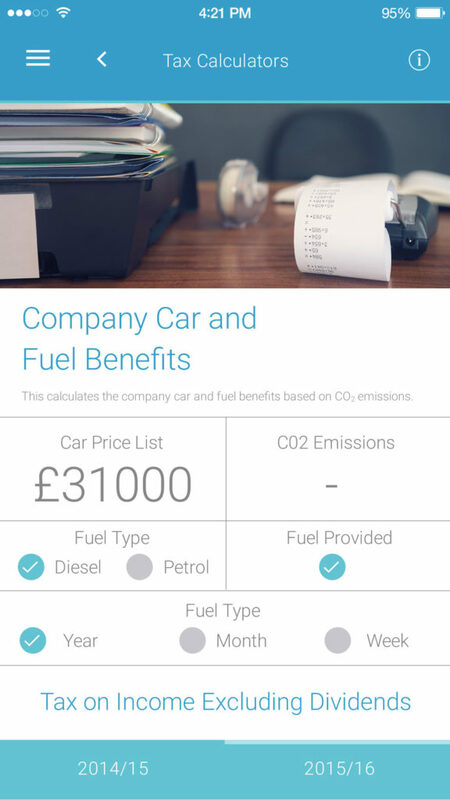 Scan receipts, categorise and export expenses to eliminate paperwork. 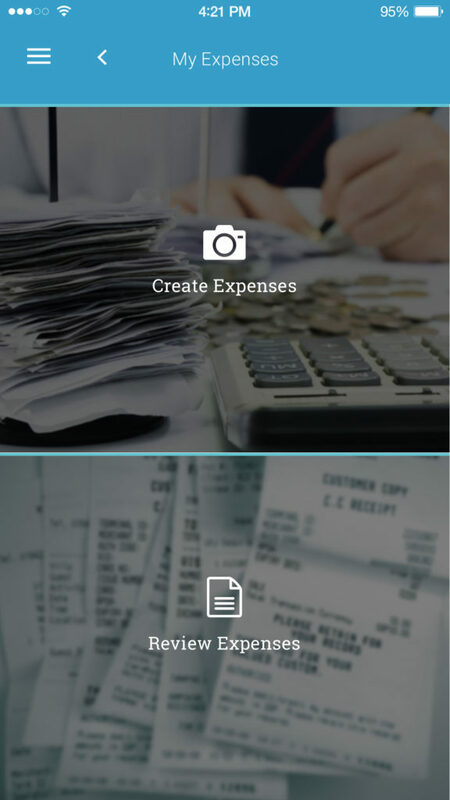 All of your clients’ expenses in one place. Includes the option to export to an email, PDF, message and integrate with using apps such as Dropbox. Informative tips and checklists for business and personal tax advice. 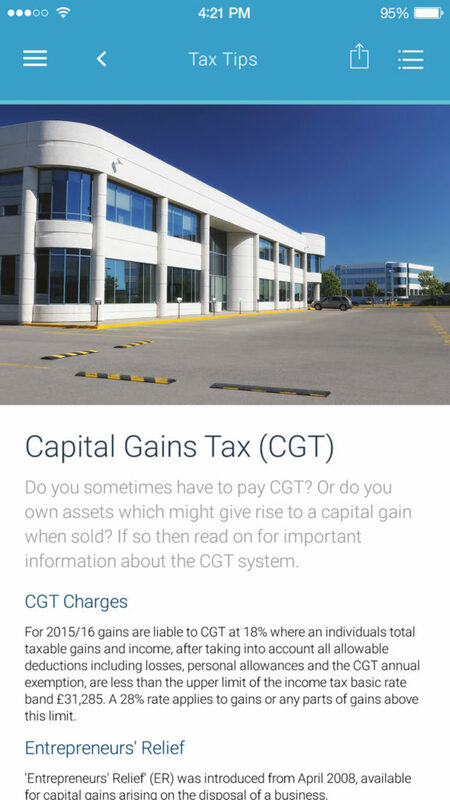 Easy to understand tax explanations, checklists and tips covering topics such as Capital Gains Tax, inheritance tax planning, taxation of the family and more. A tax calendar covering all upcoming deadlines, with supporting details on who will be affected. 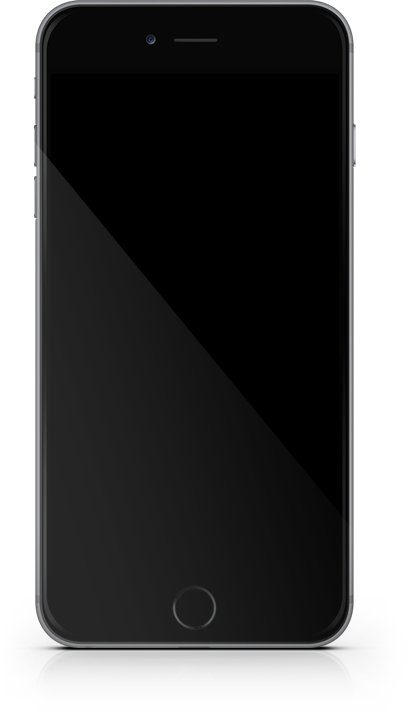 All dates can be added to the device’s calendar with one click and shared via email, message, social media or other integrated apps. 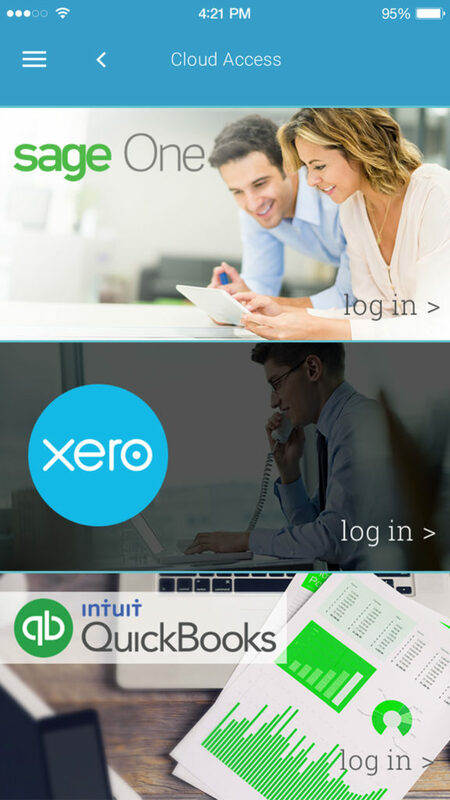 Give your clients easy access to the cloud accounting software available in your firm. 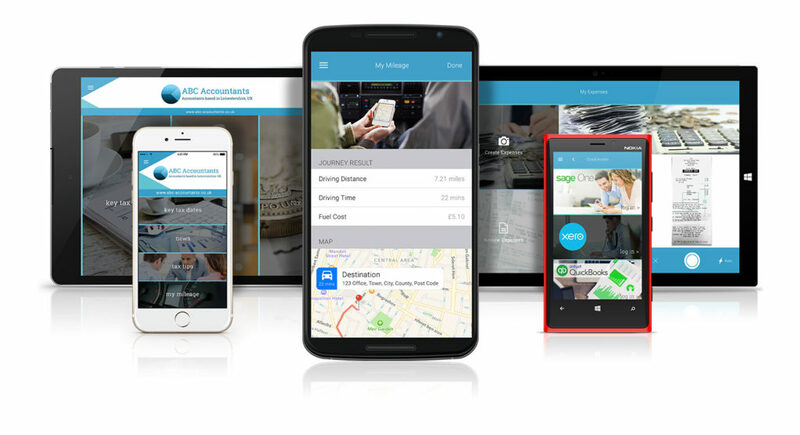 One section of your app, with an unlimited amount of portals to ensure that your clients always have access to their files, wherever they are. 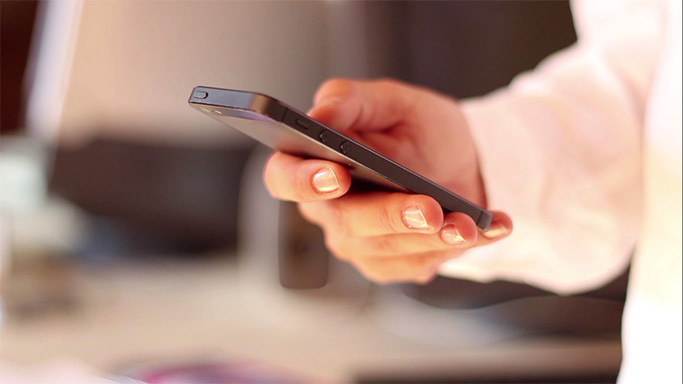 Send push notifications to all of your contacts’ devices at the same time. Update your clients on the latest news, services and blog posts available from your firm. 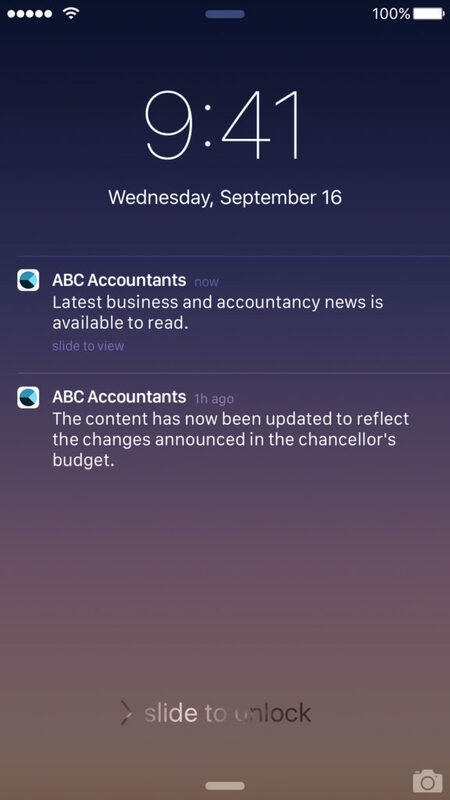 For those with notifications turned off, all messages will be easily accessible in the notification centre of the app. 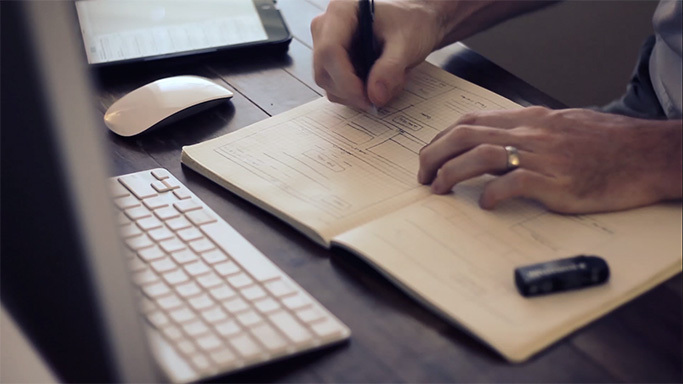 We use the latest design features to ensure your taxapp is consistent with your firm’s branding, and exceeds your expectations. With an easily accessible slide menu, your clients will be able to find the information they require in seconds. 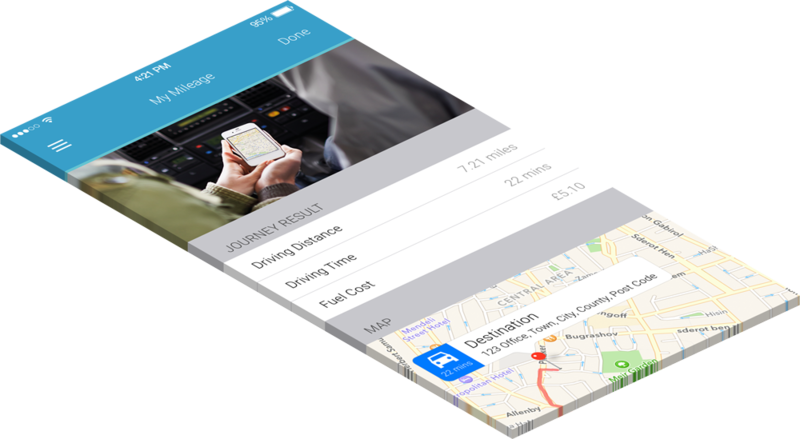 Our app has been an extremely important tool for not only our clients, but staff too. 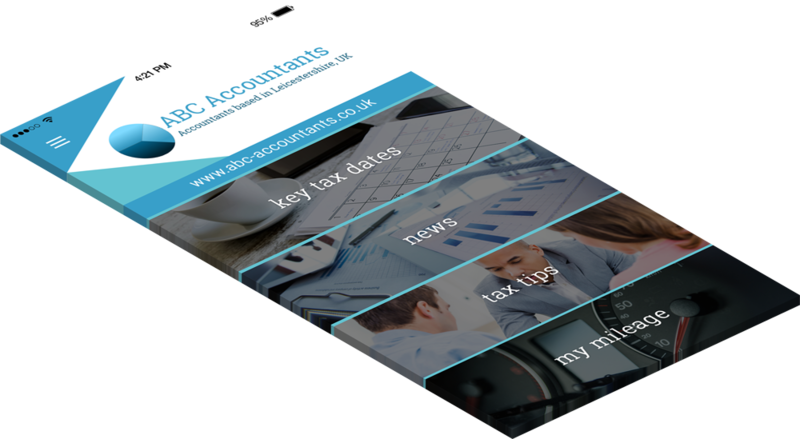 Being able to ensure that our clients have expert tax content and news on their phone or tablet, while ensuring it is our brand, this really is invaluable. All aspects of your marketing plan is covered, including website content, email text, suggested social media posts, images of your app and more. 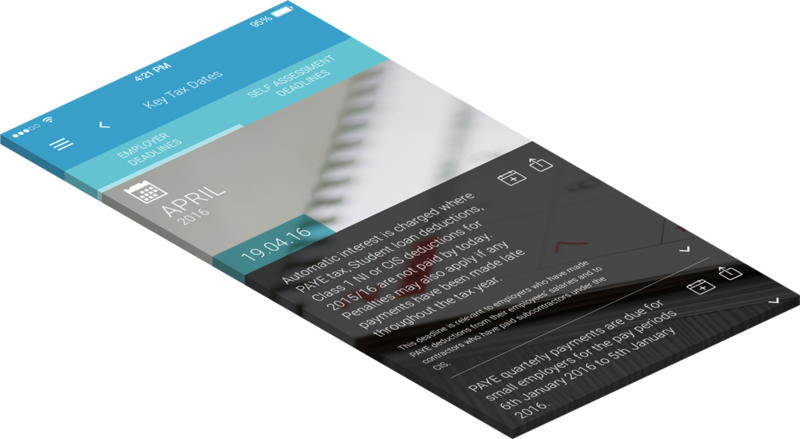 We’ll also provide you with a guide on ‘How to promote your taxapp’ before your launch date so you have everything ready for the big day. Add information about your services and team to show off the great ways you help your clients. We can also integrate your blog or news page so your taxapp users are always aware of latest developments from your firm, and a quick contact page so your contacts can speak to you at the touch of a button. With over 30 years’ experience delivering high quality content to accountancy firms in the UK, our experts will regularly update the content within your taxapp so your clients always have access to correct information when they need it. 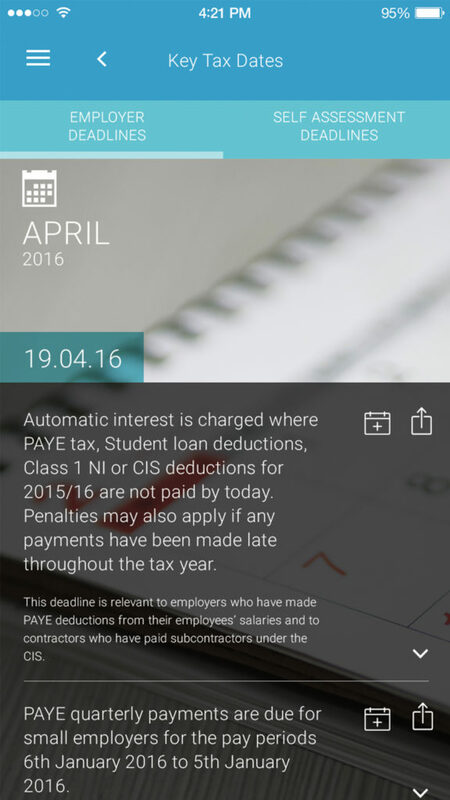 Your taxapp will be available to download for any mobile or tablet device - including Apple, Android and Windows. One app. One price. Everything included.